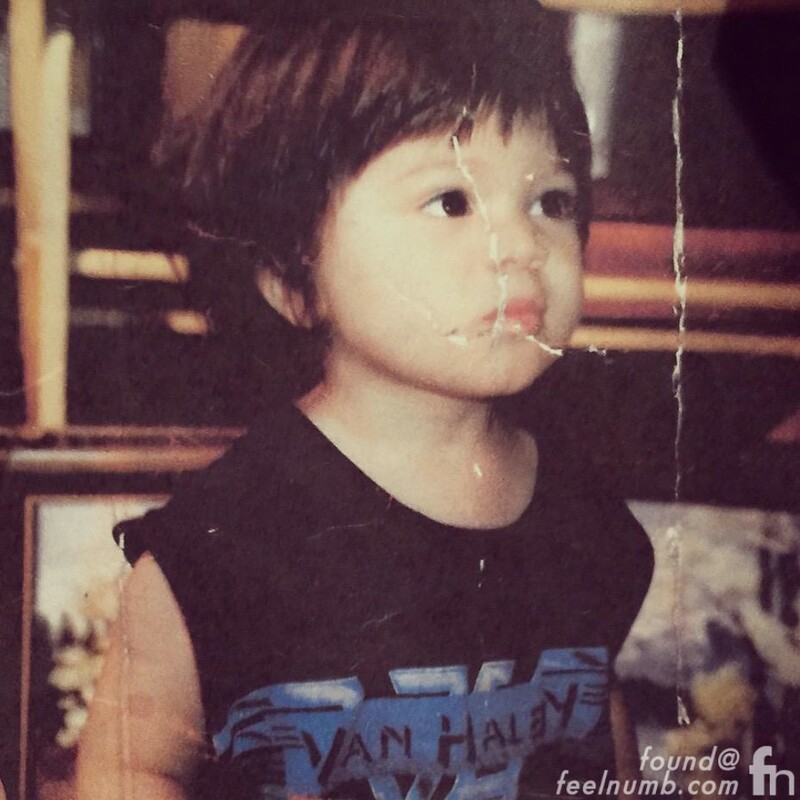 Wolfgang Van Halen the only son of Eddie Van Halen and actress Valerie Bertinelli was born on March 16, 1991. Here’s a cool photo of little “Wolfy” proudly wearing his last name on his shirt. 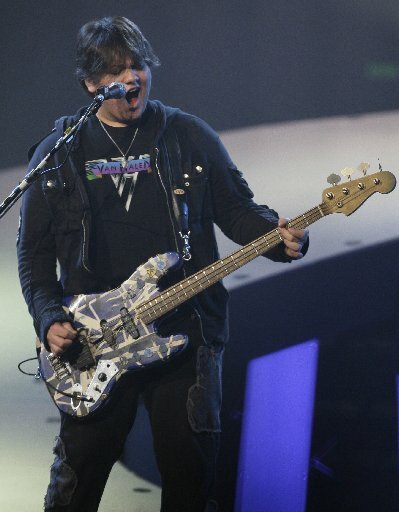 He is the currently the bassist for his dad and Uncle Alex Van Halen’s band having replaced original Van Halen bassist Michael Anthony in 2006. And guess what??? Dude is still rocking his “Van Hagar” era t-shirt.